Our deposition suites are ideally suited for depositions, meetings and arbitrations as well as witness preparation and expert consultations in the comfort of our downtown office, with convenient parking. 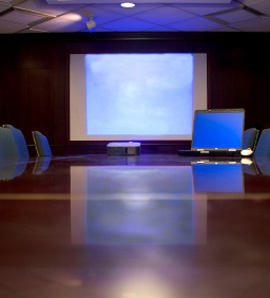 All rooms are equipped with conference phones and in-house dual-screen videoconferencing as well. We provide on-site wireless internet along with complimentary food and beverage service. Our courteous staff is available to assist you with any of your needs, whether it be catering services, hotel accommodations or transportation arrangements.